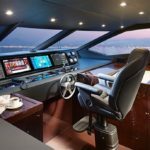 At the Monaco Yacht Show, which will take place from 27 to 30 September 2017, Besenzoni will exhibit its wide range of products, all tailor-made to suit customers’ requirements. 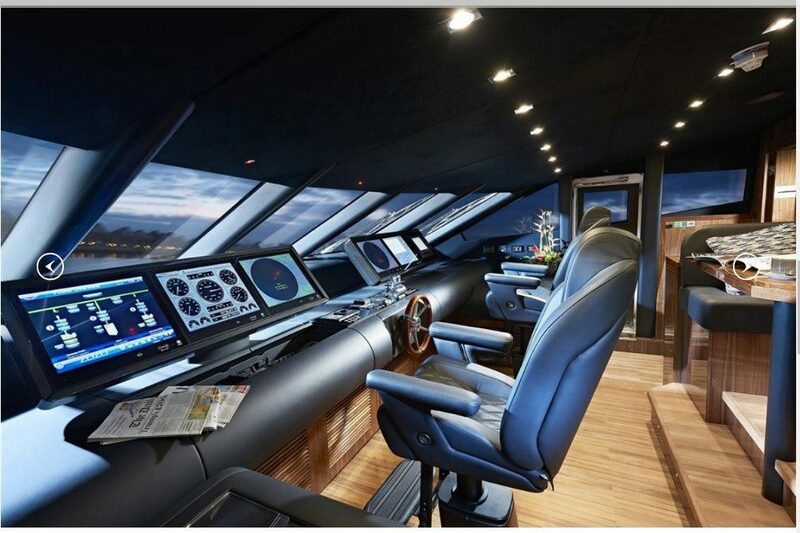 Items on display will include the SC 107 carbon ladder, the SP 602 hydraulic ladder/gangway and the P242 Seagull helm seat with special armrests for installing the joystick and other controls. 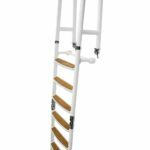 SC 107 carbon ladder – is a practical and easily adjustable manual stairway made of carbon. 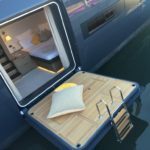 It can be easily installed either sideways or on the deck. 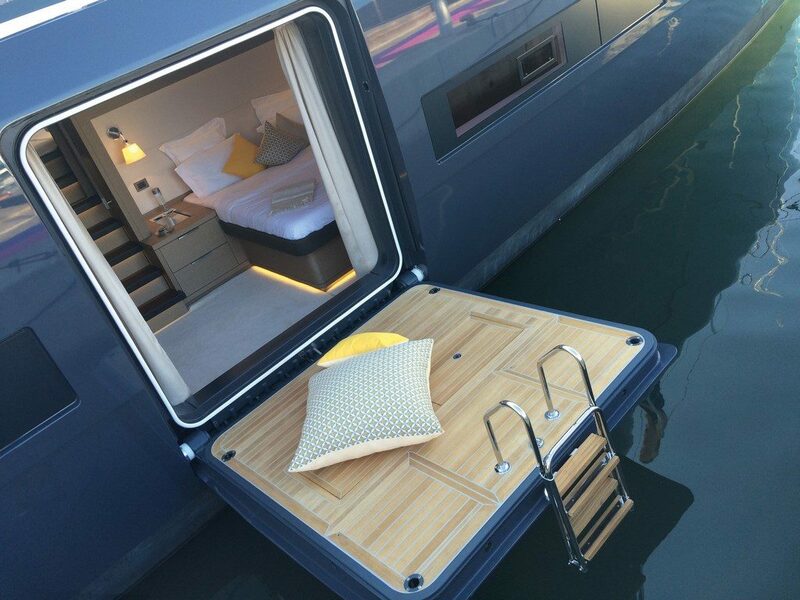 The steps are in teak, while the frame and handrails are retractable for convenient storage on board. 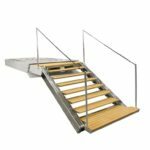 Just like all Besenzoni sea stairs, this model is both stylish and functional and blends in perfectly with the type of boat it is used on. 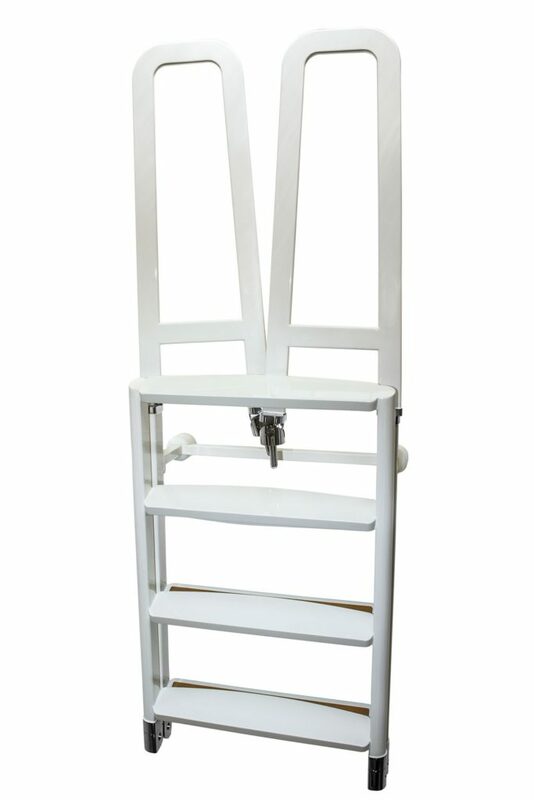 It comes with 5 or 7 steps and is also available with a stainless steel frame. 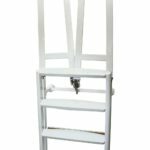 SP 602 hydraulic ladder/gangway – This self-adjusting ladder also serves as a gangway and is suitable for installation either sideways or on the deck. In varnished or mirror-polished stainless steel, it is designed to be inclined either upwards or downwards with self-aligning steps. 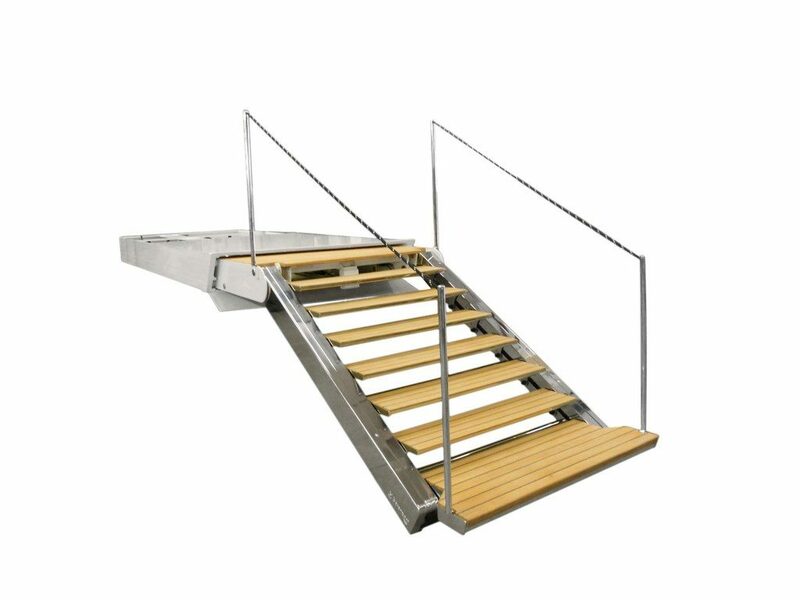 The size of the first step/access walkway can be custom-made to suit specific requirements. 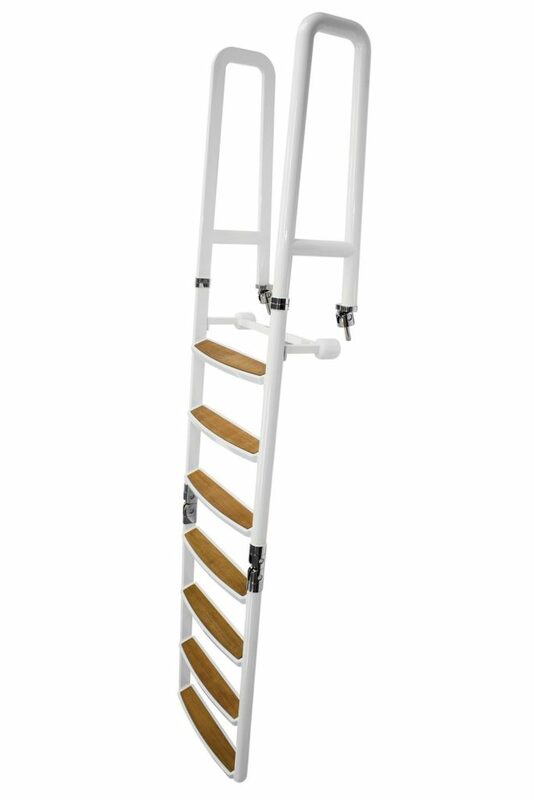 When the ladder is closed it is completely concealed in an aluminium storage box. 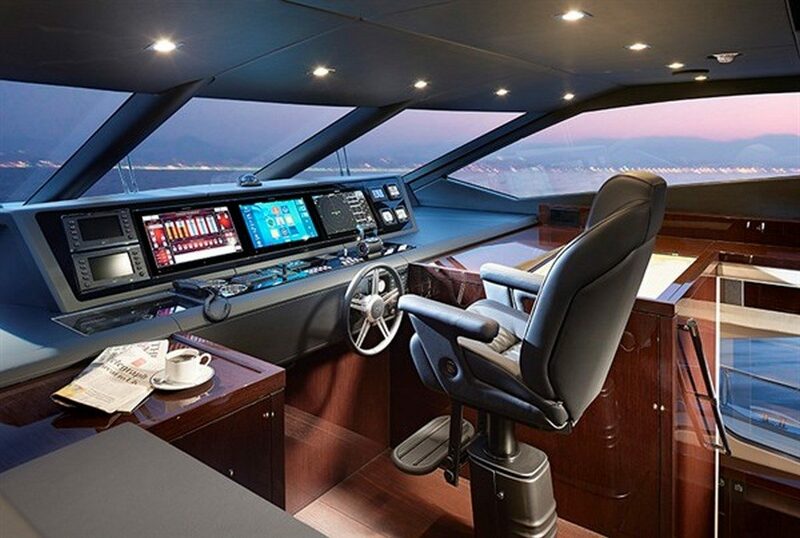 P 242 Seagull automatic helm seat – This popular helm seat prides itself on being extremely ergonomic. 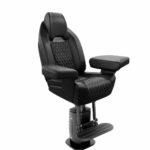 The model features armrests which are specially designed to accommodate the joystick and any other controls that the customer requires. 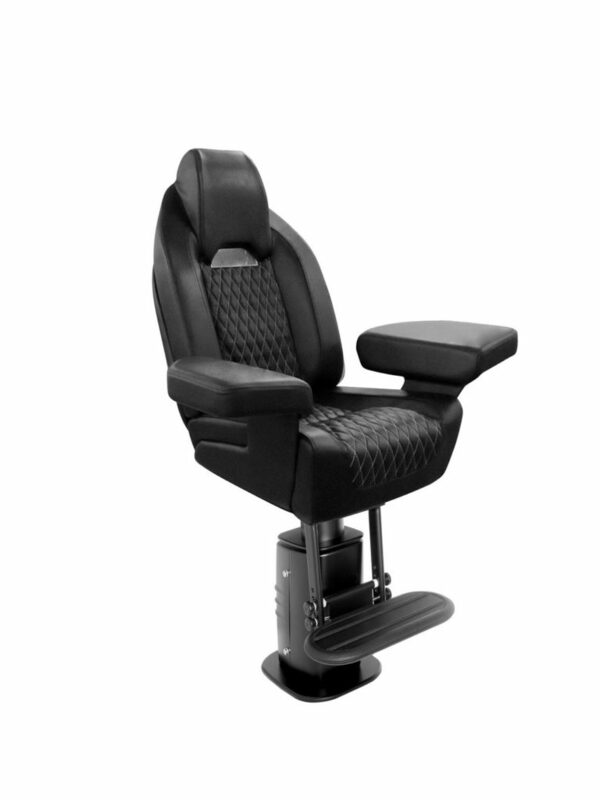 Other features include electronic adjustment of the height, the angle of the backrest, and the sliding seat. It can be rotated manually through 180° (90° clockwise and 90° anti-clockwise). 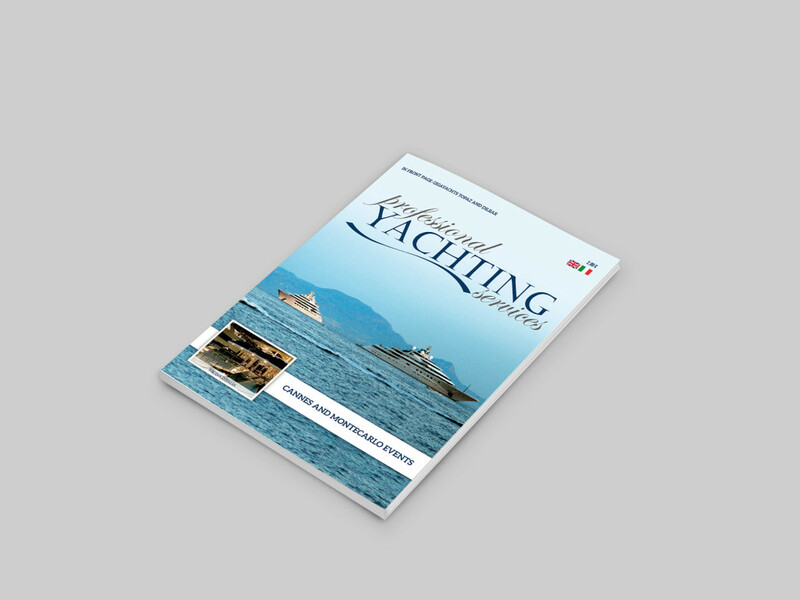 The standard covering is vinyl or leather, but the customer may choose a different covering if desired. 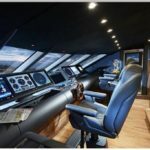 Given the increasingly high demand for diamond-shaped stitching, these can now be personalised using different-coloured seams.